As part of the Program Management team, JCK Underground is providing technical support of the CBSIP 35% design effort. JCK Underground’s scope of services include: offering a Lessons Learned Workshop on Planning, Design, and Construction of Underground Facilities to the CBSIP design team; participating in the Technical Advisory Panel (TAP) Workshop; providing independent constructability reviews, structural and geotechnical design consultation and peer reviews; and performing independent reviews of the construction schedule and cost estimate. The project includes a 110-foot (33.5-m) diameter by 183-foot (55.6-m) deep shaft that will house the 120-mgd (454-megaliters/day) CBS at the downstream end. The Central Bayside Pump (Lift) Station (CBS) shaft will be used to launch the TBM and support operations to drive and construct the Channel Tunnel (CHTL), a 1.7-mile (2.7-km) by 24-foot (7.3-m) ID concrete lined gravity conveyance/storage tunnel. The CHTL will be constructed approximately 135-feet to 150-feet (41.1-m to 45.7-m) below the ground surface and primarily within the Franciscan Formation (rock). The TBM will terminate its drive at the 45-foot (13.7-m) diameter by 140-foot (42.7-m) deep Retrieval Shaft located on Parcel P7. Once built-out and in operation, this shaft will drop dry and wet weather flows into the CHTL. 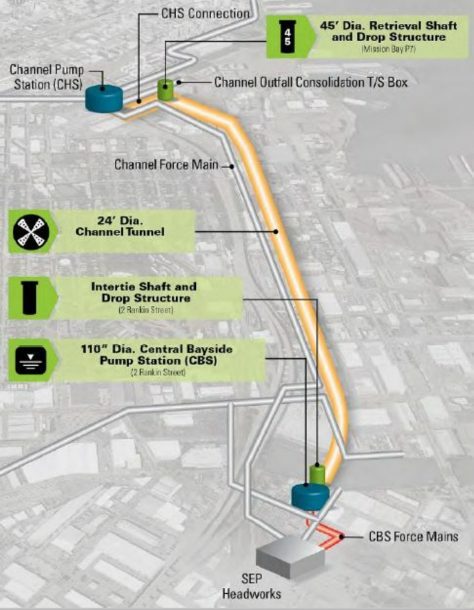 A 24-foot (7.3-m) diameter Intertie Shaft will also be constructed, that will drop dry and wet weather flows into the CHTL from the Islais Creek Transport/Storage Box, and will also serve as primary access into the CHTL for future inspections and maintenance. As part of the Construction Management team, JCK Underground is providing technical and procurement advisory services for the Gravity Pipeline contract. 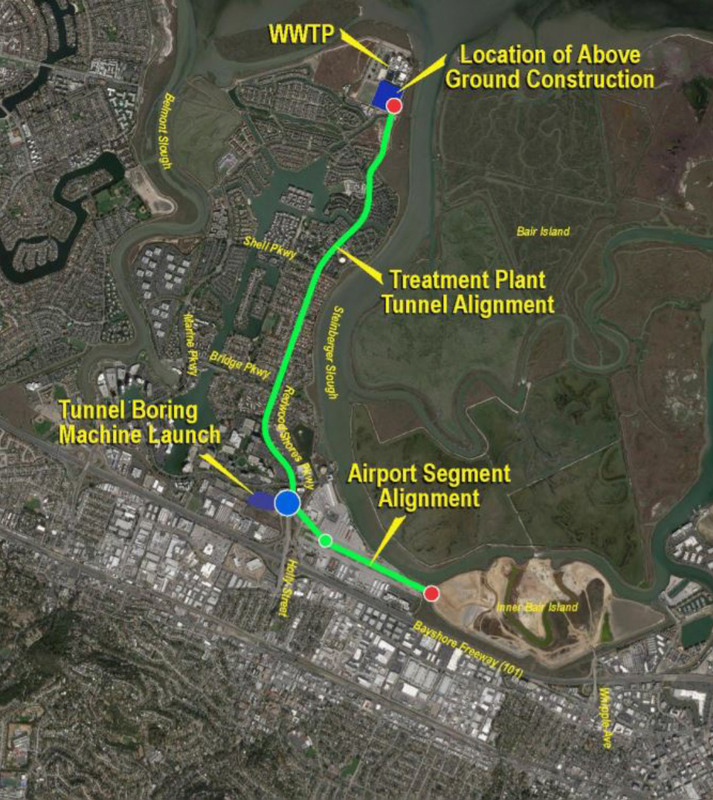 The Gravity Pipeline will convey, and equalize wastewater flows traveling to the Wastewater Treatment Plant (WWTP) in Redwood City, California. This project includes 3.3-miles of 15-foot outside diameter pipeline that extends from Bair Island to the WWTP. The project also includes the design and construction of shafts, drop facilities, ventilation, odor control facilities, and slip lining. This work will be coordinated with the contract responsible for designing the system hydraulics, and constructing the Receiving Lift Station within a shaft built as part of the work for the Gravity Pipeline. The Gravity Pipeline project is being designed and constructed using the Progressive Design-Build contracting method. 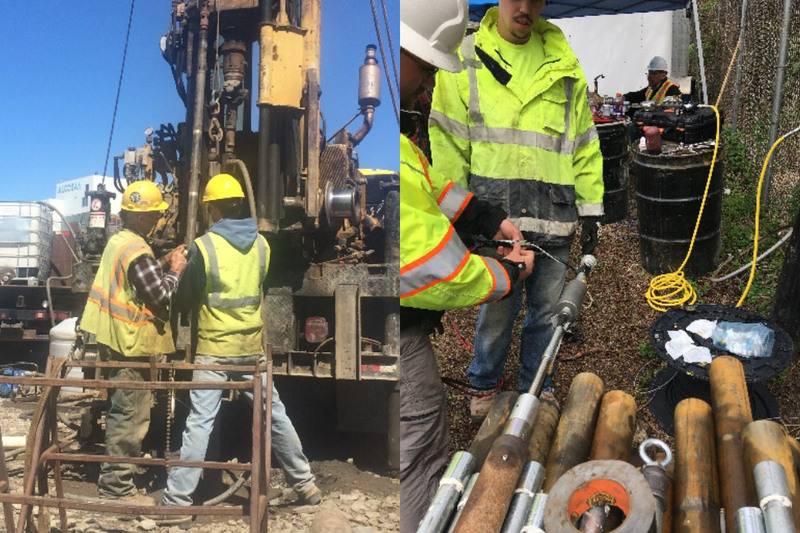 JCK Underground has supported SVCW throughout the procurement process for this project that included: technical, commercial, and constructability review of the Request for Qualification (RFQ), and Request for Proposal (RFP) documents. SVCW was also supported by JCK Underground during the shortlisting, interviewing, selection, and negotiating phases, by providing technical input related to means and methods, schedule, and risk. SVCW continues to be support by JCK Underground with over the shoulder reviews during the development of the Stage 1 design for the shafts, and tunnel, the EPBM design, protection of structures, geotechnical instrumentation, and monitoring systems, (e.g., EPBM and geotechnical instruments.) The work is scheduled to be completed by the end of 2022. JCK Underground was contracted by SCMWC to inspect, assess and recommend structural and operational improvements and enhancements to the Senior Canyon Tunnel. The tunnel is located in the Santa Ynez Mountain, north of the Ojai Valley, and serves as a water resource. In 1929, the tunnel was drilled and blasted 1,555-feet into the sedimentary layers of the bedrock that form the mountains. Sometime after 1929, the tunnel was further advanced to a total length of 3,000- to 3,500-feet. The 8-foot by 8-foot horse-shoe shaped tunnel is mostly unlined with short stretches of fractured rock requiring cast in place concrete and timber sets. Water movement into the tunnel is through a complex series of discontinuities consisting of bedding joints, steep angled fractures and faults. These geologic discontinuities, depending on fracture infilling, both allow and impede water inflows into the tunnel. JCK Underground mapped the bedrock geology, the discontinuities, water inflows and used that data to provide recommendations on how best to enhance the water resource capacity of the tunnel. Our work also included inspecting the general condition of the tunnel, recommending improvements to the ground support, and recommending methods to increase the discharge capacity of the tunnel. The data collected, including as-built geometries, allowed JCK to provide a bottom-up construction cost estimates for the tunnel improvements and enhancements. Allegheny County Sanitary Authority’s (ALCOSAN) Wet Weather Program is implementing a Wet Weather Plan to eliminate sanitary sewer overflows (SSOs) and significantly reduce combined sewer overflows (CSOs) into the Allegheny, Monongahela, and Ohio Rivers. This is a multi-billion-dollar capital improvement program to comply with federal, state, and local regulatory requirements. The program scope may include up to 19-miles of 14-feet diameter tunnel through sedimentary rock along with other means of overflow mitigation and green solutions. CDM Smith’s Program Director team is integral to the Program Management Organization that is charged with long-range planning and implementation of the Wet Weather Program. As part of this team, JCK Underground acts as a technical resource providing geotechnical and tunneling expertise and as a strategic advisor managing program risks. To-date, JCK Underground has performed tasks including: developing and implementing an initial geotechnical investigation and generating a Geotechnical Data Report; providing guidance regarding site selection and feasibility studies considering preliminary staging needs; and conducting an investigation and analysis of prior local tunnel construction experience. Follow-on tasks include consultation regarding further geotechnical investigations, risk identification and mitigation, data reporting and interpretation, and other general program management tasks. The DC Clean Rivers project is being constructed to reduce combined sewer overflows (CSOs) into the Anacostia and Potomac Rivers, and Rock Creek. Additionally, components of the project target the reduction of flooding in certain District of Columbia northeast boundary neighborhoods. The DC Clean Rivers project includes combined sewerage storage tunnels as well as green solutions to reduce total handling of CSO water. In its approximately $2.8 billion cost, the project comprises approximately 18 miles of soft ground and rock tunnels between 100 to 170 feet in depth. Tunnels range from 15 to 23 feet in diameter and traverse beneath the Potomac and Anacostia Rivers as well as beneath federal, district and private residences. Drop shafts to take combined sewer and storm water flows to the tunnel level are 35 to 55 feet in diameter. At the project’s tunnel terminus are two larger diameter shafts of 70 and 132 feet in diameter which house the Grit and Screening Removal Shaft and Tunnel Dewatering Pump Station respectively. Near-surface facilities designed to divert flows from the various combined sewers to the drop shafts are located in postage-stamp sized sites throughout the District of Columbia. 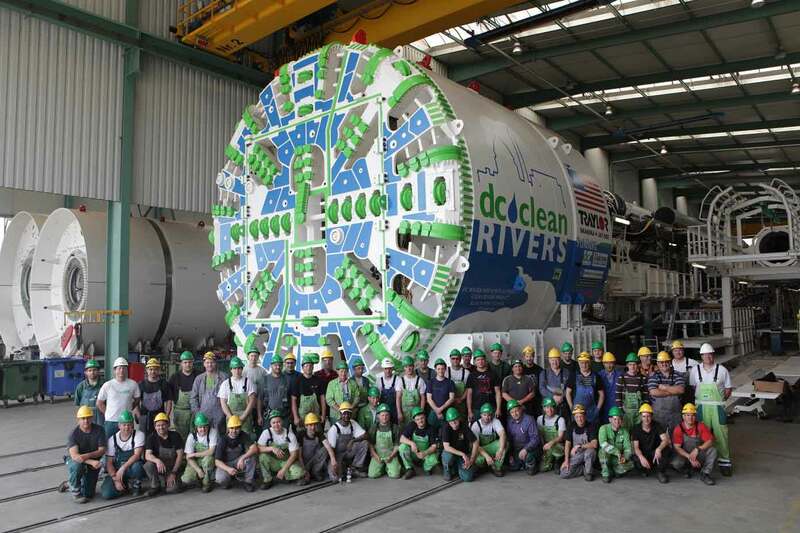 The DC Clean Rivers project possesses some of the nation’s most challenging tunneling work, with an aggressive schedule, in an unrelenting urban environment. As part of the Program Consultants Organization, JCK Underground is assisting DC Water to implement and execute the DC Clean Rivers project. Currently, JCK Underground provides a wide range of services for the project including: design management for the Northeast Boundary Tunnel; construction oversight, including ensuring quality of construction, and managing costs; construction management for the CSO 021 Diversion project; and program-wide tunneling, deep excavation and trenchless expertise. Previously, JCK Underground’s personnel functioned to: develop novel procurement strategies; plan and manage geotechnical investigations; establish program-wide protocols for protecting third party structures and formulate bid documents for construction contracts for the Blue Plains Tunnel, Anacostia River Tunnel, First Street Tunnel and Tingey Street Microtunnel Projects.